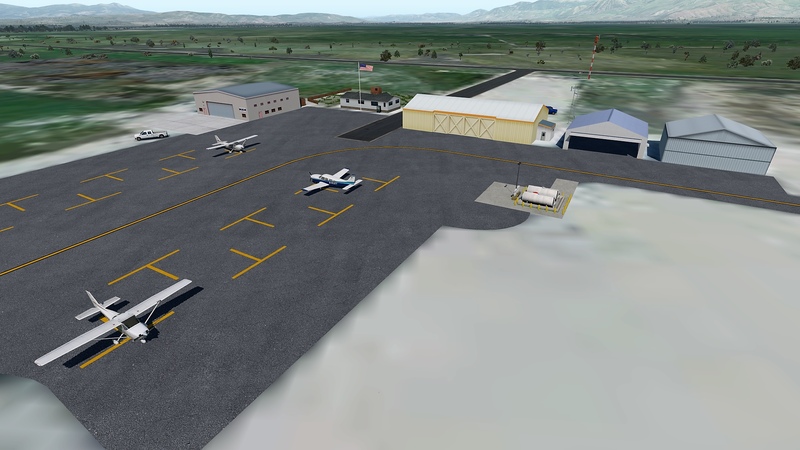 It also benefits from Airport Environment HD, as do all X-Plane airports. This scenery is good for XP 10 and 11. The attached screen caps are with my own orthophoto tile underneath and World2XP America / HD Mesh 3, but note that this scenery has no embedded ortho images. This scenery is freeware and may get it here at the .org. Thanks for looking and happy flying.